Let’s face it, when we go to a church we want to get to know people and have a sense of belonging. At Mariners, we feel LifeGroups are the place to really develop that sense of belonging. But we also believe a lot more happens in LifeGroups. We believe they are the primary vehicles through which sustained transformation to be more like Jesus in and among the world happens. 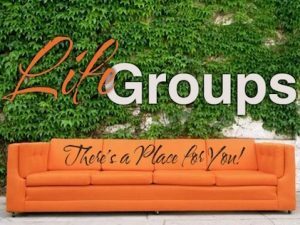 LifeGroups provide the best environment for the life change that God intends for every person. You can start your own group. Sometimes the best group for you is the group you start. Grab a few of your friends who want to join you on a journey to discuss God’s Word and we will resource and coach you for success! Check out our available groups below. If you don’t see anything that fits your needs, connect with us to see how we can create the right group for you. You can be invited. Most LifeGroups are open and you may be invited to join and become a vital part of the life of the group. Take a look at all the active groups and request to join one that seems of interest to you! After providing a bit of information an email will be sent to the group leader. They should contact you, but please be patient as everybody manages emails differently. Should you not get contacted in what you feel is an appropriate time, please reach out to Pastor Len. It’s our hearts desire that everyone find community in a LifeGroup at Mariners. Many of our LifeGroups use a series of methods to learn from the Bible and apply to their lives. These are also very useful in personal quiet times with God’s Word. Click to learn more.